In this fascinating study, Muhsin J. al-Musawi shows how deeply Islamic heritage and culture is embedded in the tales of The Thousand and One Nights (known to many as the Arabian Nights) and how this integration invites readers to make an Islamic milieu. Conservative Islam dismisses The Thousand and One Nights as facile popular literature, and liberal views disregard the rich Islamic context of the text. 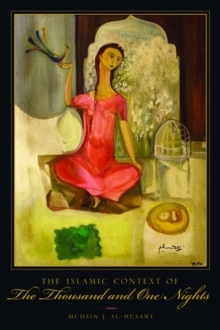 Approaching the text with a fresh and unbiased eye, al-Musawi reads the tales against Islamic schools of thought and theology and recovers persuasive historical evidence to reveal the cultural and religious struggle over Islam that drives the book's narrative tension and binds its seemingly fragmented stories. Written by a number of authors over a stretch of centuries, The Thousand and One Nights depicts a burgeoning, urban Islamic culture in all its variety and complexity. As al-Musawi demonstrates, the tales document their own places and periods of production, reflecting the Islamic individual's growing exposure to a number of entertainments and temptations and their conflict with the obligations of faith. Aimed at a diverse audience, these stories follow a narrative arc that begins with corruption and ends with redemption, conforming to a paradigm that concurs with the sociological and religious concerns of Islam and the Islamic state. 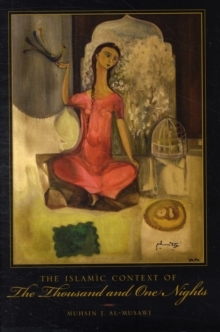 By emphasizing Islam in his analysis of these entertaining and instructional tales, al-Musawi not only illuminates the work's consistent equation between art and life, but he also sheds light on its underlying narrative power. 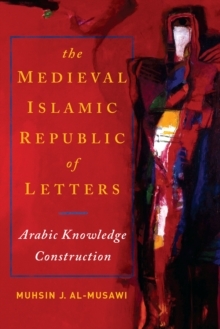 His study offers a brilliant portrait of medieval Islam as well, especially its social, political, and economic institutions and its unique practices of storytelling.